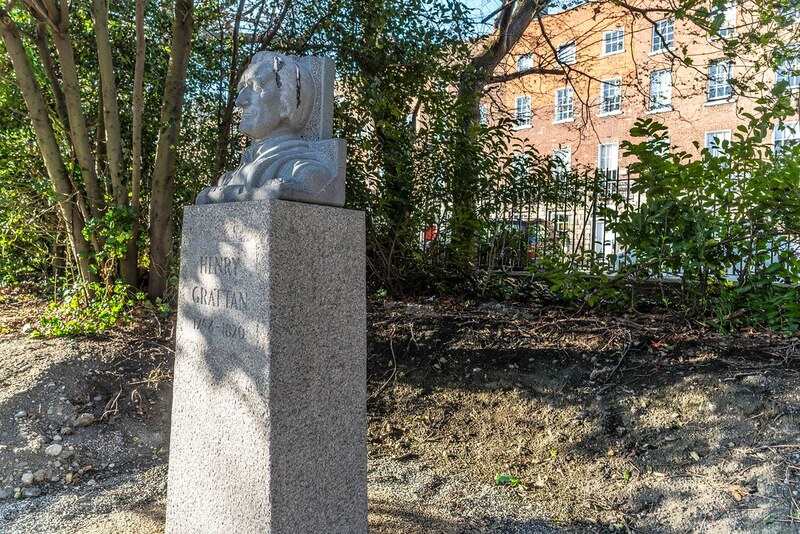 It would appear that most of the statues and memorials in Merrion Square have been restored and re-located within the park. campaigner for constitutional and political rights, he campaigned for legislative freedom for the Irish Parliament during the 18th century. 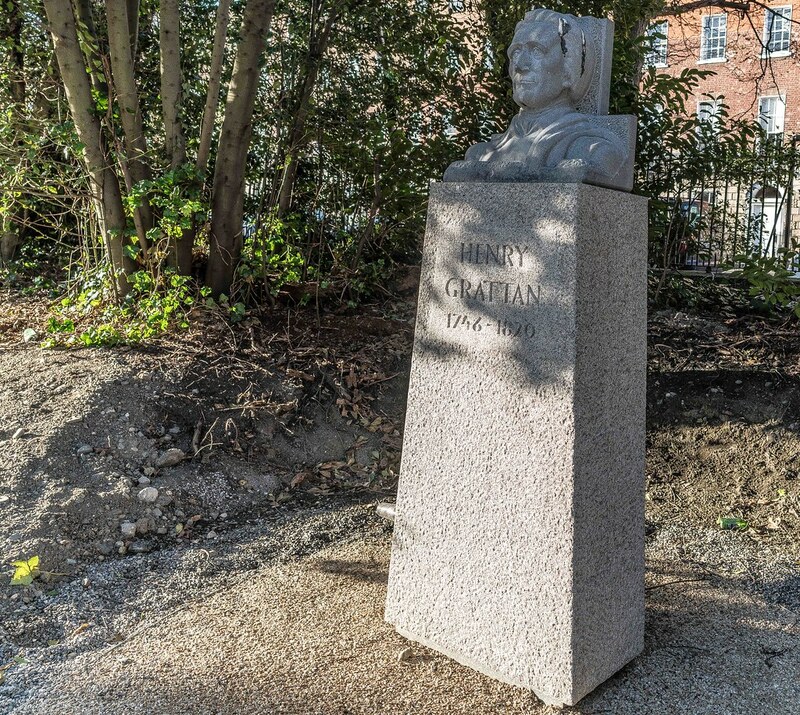 Grattan retired from the House of Commons in 1797 in protest over his proposed political reforms being ignored. He was convinced that in the absence of vital and fundamental reform, Ireland was drifting towards rebellion. 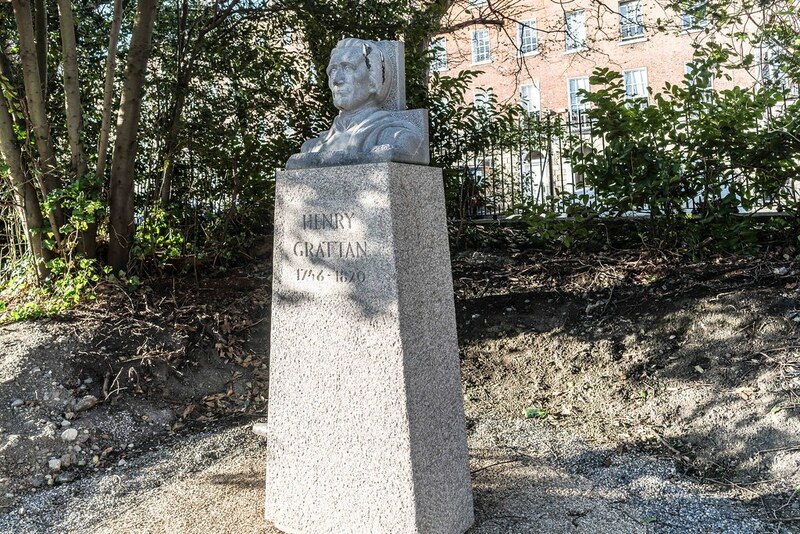 In his 24-page “Letter to the citizens of Dublin”, Grattan explained his dramatic decision. In order to “save the country”, he wrote, it was “absolutely necessary to reform the state”. The “continuation of the old system” would lead to Ireland’s downfall because the people no longer had confidence in parliament. 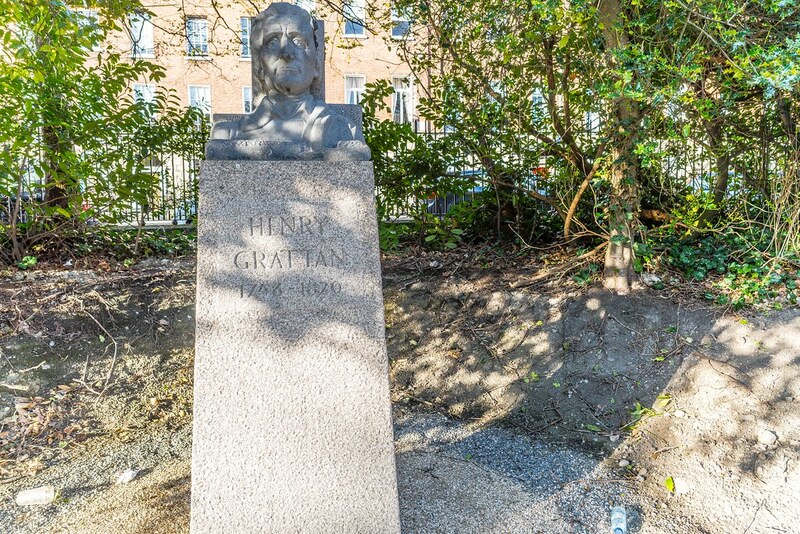 Grattan returned to parliament to voice his opposition against the Act of Union in 1801 and continued to advocate for political reform and crusade against corruption until his death in 1820. 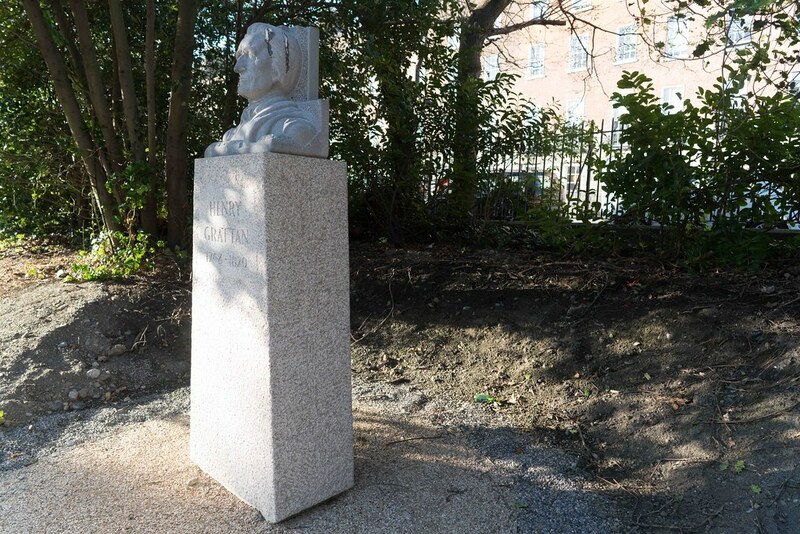 Created by sculptor Peter Grant, this commemorative portrait bust is a distinctive example of Grant’s style of public sculpture. While studying art Grant avoided naturalism instead being influenced by Egyptian sculpture. Between the wars there was considerable interest in Egyptian art following the excavations of Tutankhamen’s tomb. During his years specialising in sculpture Grant also extended his education by reading extensively into theoretical texts as there was no art historical teaching at the National College of Art at that time. He was attracted to the history of the church in the Middle Ages and was influenced by the formalised structure of pre-classical sculpture. His use of the spatula rather than his hands helped him to achieve an expressive and non-naturalistic style. Grant’s most important pieces of public sculpture were commemorative, the majority being either political or religious.